You are here: Home / Need to save a little more? How to save money on Meat! My friend tipped me off that the reams close to my house marks all their meat to at least 50% off on the “SELL BY” day. So if it says on the package “Sell by 10/21/10” and you were to go in on 10/21/10, the meat would be marked down to at least 50% off. 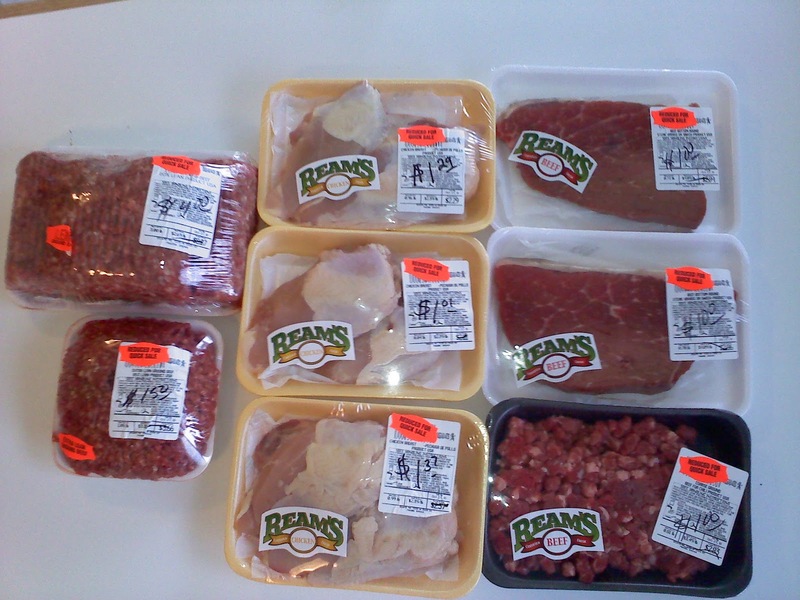 I went in the other day and got all this meat for only $12.17 + tax which came to only about $12.50. The hamburger and chicken were about $1.30/lb (the meat was 85 % and the chicken was boneless chicken breast). And the steak and chili meat were only about $1.20/lb. 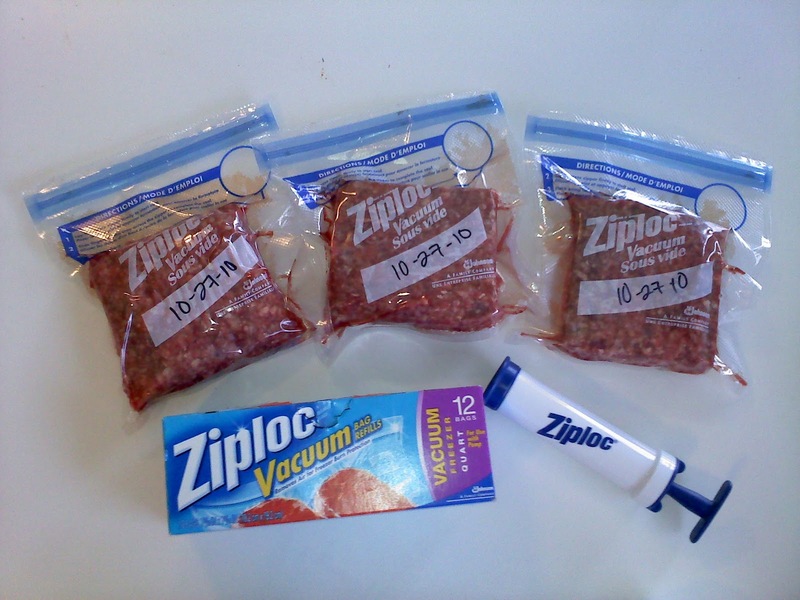 I bought the meat, and brought it home and packaged the large pack into smaller 1 lb packages with the ziplock freezer vacuum pump system. This saved us about 60% on our meat for the next couple of weeks. Next time you are at your grocery store, ask the meat department when they markdown their meat. Some do it at night when they close up, others do it in the morning. Come back and let us know what kind of deals you get!